The patient comes to the dental office because he refers he cannot wear his removable partial denture anymore. He complains pain during mastication; he also refers his social life is really affected due to the unstable prosthesis. The patient is a heavy smoker and he suffers from periodontal disease. 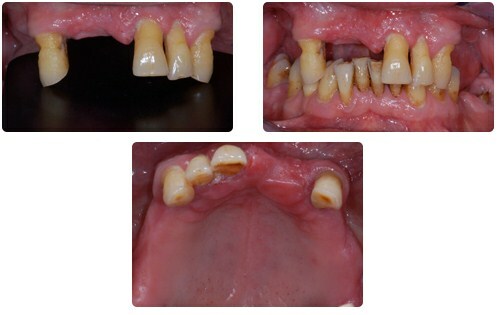 He complains mobility of both the central and lateral incisors due to severe bone resorption. 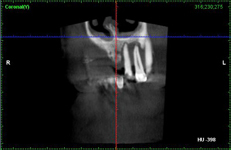 The Cone Beam Volumetric Tomography shows severe bone resorption of both the right and left maxilla; just 1 millimeter of residual crestal bone is available on the right upper jaw because of the bone resorption and the presence of the maxillary sinus, an anatomical aerial cavity. The Cone Beam Volumetric Tomography shows very well the bone resorption around the roots of both the central and lateral incisors. Patient was informed that success with both implants and bone regeneration is dramatically affected by smoking. However, the patient asked to go ahead with the implant therapy to complete the full-rehabilitation with a fixed prosthesis. Dr Deliperi was able to save the two canine teeth. 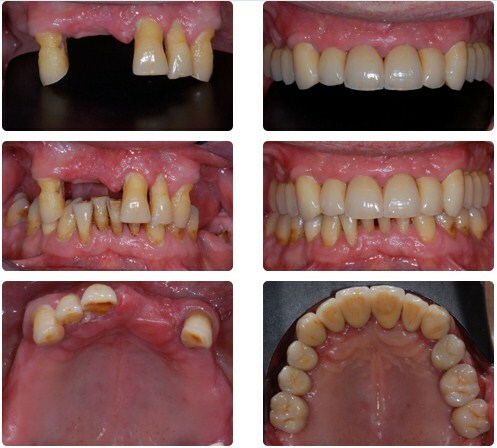 Following the extraction of the the central and lateral incisors, he placed the implants and completed the bone regeneration of the anterior area. The same procedure was completed on both the right and left premolar and molar teeth area. After 8 months, it was verified that the implants were integrated to the bone and the bone regeneration was successful. Now the dental technician can fabricate full-ceramic crowns on both the natural teeth and implants. 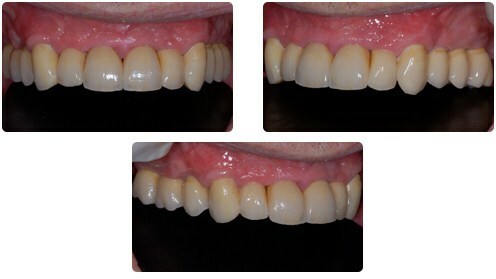 Final result following the cementation of the 12 full ceramic crowns. A perfect integration of the crowns with the gingival tissue was achieved. Dr Deliperi adopted sophisticated bone regeneration techniques which allowed the reconstruction of the horizontal and vertical bone volume. The new gingival morphology allows not to see any difference between the crowns on natural teeth and the crowns on implants. The patient was able to have his masticatory function back; due to the nice esthetic result, he can proudly show his new teeth!